Do you dream of a house that suits your tastes and the needs of your family? Your wish can be granted! Enter, this house will enchant you at the first glance! 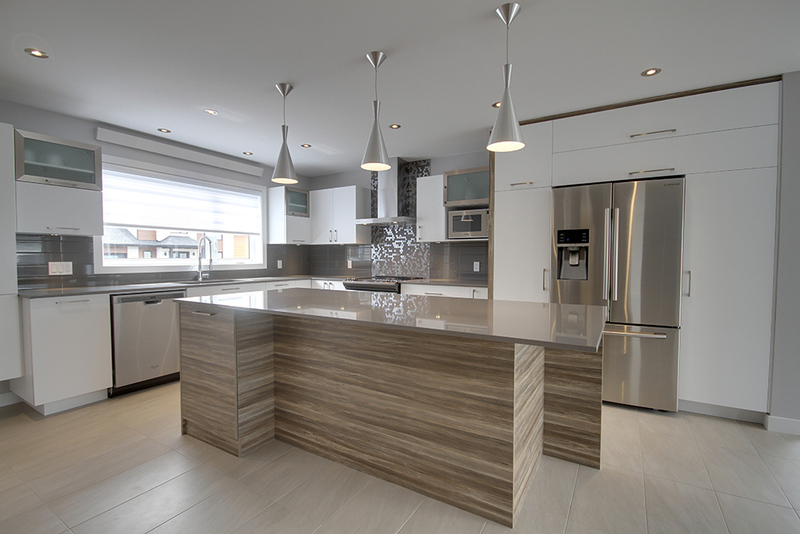 You will find this contemporary-style cottage, made by Constructions Serge Pouliot, in the Pointe-Lévy area of Lévis. Built of high quality, furnished and decorated by a designer, this house will enchant you with its beautiful light, its large rooms, and many storage spaces. A modern open area and filled with luminosity! You will fall in love as soon as you set foot on this property… The spacious open area, composed of the kitchen, the dining room and the living room, is distinguished by its abundant fenestration and its large dimensions. An airy and bright living space to wish! The living room space is well-defined thanks to the beautiful wooden floor, which also adds a lot of warmth to the place. A dining room where you will be proud to receive your guests! When returning from the summer, continue the conversation started during the meal by going to the backyard, accessible from the dining room. The top! Ultra-chic, the kitchen will surpass your expectations! Trendy backsplash, many cupboards, huge island with a practical lunch counter… Is not this contemporary-style kitchen the one you’ve always dreamed of? A blow of heart assured for this splendid bathroom! Featuring a glass-walled shower, a freestanding bath, and a beautiful vanity, this bathroom will be perfect for relaxing after a busy day! To be discovered without waiting! This sumptuous property, an achievement of Serge Pouliot Constructions, will charm you at first glance! Want to order an immersive blog content like this one? Visit book.urbanimmersive.com! You will be delighted by the layout of this cottage with garage that has been designed specifically for today's families!